Psychologist Paul Vitz and his son Br. Daniel Vitz (“Messing with the Mass: The problem of priestly narcissism today“), offer an analysis of narcissism among Roman Catholic clergy. Their argument about narcissistic clergy is offered in a liturgical key. Vitz and Vitz contend that “the primary motivation behind many of” liturgical “irregularities” seen in the celebration of the Roman Mass are derive “from underlying narcissistic motives — that is, extreme self-love — found in many people in contemporary culture.” They have in mind here not so much major abuses but rather “the relatively small changes introduced in an idiosyncratic way into the Mass.” Such small changes, they argue, are “especially” indicative of an unwholesome form of self-love. Looking at how narcissism is manifest liturgically is provocative. Given the importance of liturgy to the life of the Church, and to the self-image (and wholesome self-worth) of the priest, I think their approach has merit. The temptation for a priest to place his “‘personal stamp’ on the liturgy” is one faced by all clergy—including Orthodox clergy. Like Schmemann (for example, his 1966 essay “The Task of Orthodox Theology in America Today“) Vitz and Vitz are critical of the “common contemporary focus on being ‘relevant'” because doing so “is a straightforward articulation of making the Mass focus on the ‘now’ with a serious neglect of where the Mass came from and where it is leading us.” The pursuit of liturgical relevance, in the pejorative sense, causes us to become forgetful of the eschatological dimension of the Eucharist. As in the East, so in the West the Eucharist is a foretaste of the Kingdom of God which is to come. While it is easy (too easy to be good for our own salvation) to focus on dramatic liturgical abuses, it is those small “changes and additions to the Mass” that aren’t “obvious to the man in the pew” that can do the most damage to the spiritual life of the faithful. Liturgical personalization by the priest, they contend, communicates to the laity that the celebration of the Eucharist is less an encounter with Jesus Christ and more an opportunity to meet “their own narcissistic needs” through the Liturgy. Avoiding the temptation to engage in liturgical “self-aggrandizement” requires making priests and seminarians “aware of the danger of inserting one’s personality into the liturgy.” Successfully struggling against using the liturgy for his own “ego renewal” requires that the priest cultivate “a sense of the sacred” (awe) as well as a wholesome form of humility. The latter is harder than we might at first think. Those suffering from narcissistic traits require “excessive admiration” from others; “with this comes extreme sensitivity to criticism. Such criticism often leads to social withdrawal or an appearance of humility.” So while “Imitating Christ’s self-forgetfulness and humble heart are the antidotes for these tendencies” those in the grip of narcissism can be, and often are, experts at feigning humility as a way of seeking attention. While Vitz and Vitz are concerned with Roman Catholic clergy, their observations are relevant for Orthodox Christians. American culture, as the authors point out, can and does fosters narcissism. 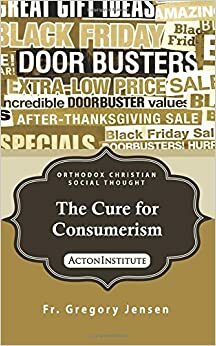 Even if Orthodox Christians are able to avoid the culture’s “preoccupation with the present,” “its obsession with consumption,” “its encouragement to incur debt” and “glorification of transient sexual gratification and sensory pleasures,” living in such a cultural environment still has a harmful effect. We can be clear what we reject without, necessarily, knowing what we believe. Recognizing what is unwholesome, dysfunctional and sinful is not the same as knowing what is wholesome, functional and virtuous. And knowing is itself different from doing and being. In the next post, I want to look again at a Catholic source to help flesh out what it might mean not simply to reject vice but embrace virtue as an inoculation against narcissism.